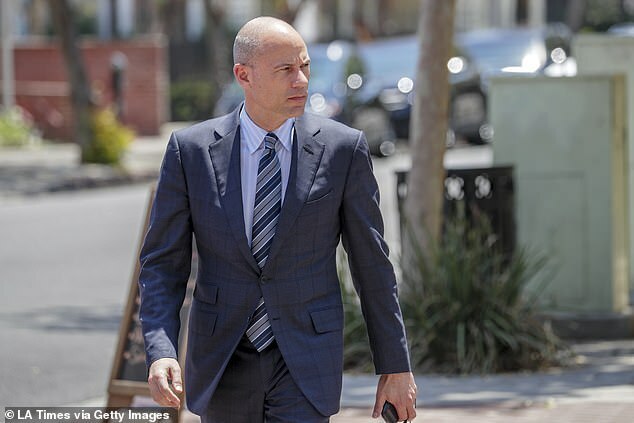 Michael Avenatti, the lawyer for adult film actress Stormy Daniels, lost a last-ditch appeal Friday to block the eviction of his law practice from its Newport Beach offices. In a brief hearing at Orange County Superior Court in Santa Ana, Judge Robert J. Moss affirmed his Oct. 22nd order that Avenatti and his staff vacate their ocean-view suite in a building across from the Fashion Island mall. He ordered them to leave by Monday. After Eagan Avenatti sought federal bankruptcy protection from its creditors last year, Avenatti identified himself in court proceedings as the sole owner of Avenatti & Associates, which in turn owned 75% of Eagan Avenatti. He later told a judge that Avenatti & Associates had bought out the firm’s minority partner Michael Eagan of San Francisco and become 100% owner of Eagan Avenatti. Couldn't happen to a bigger prick.